Welcome to Hansen Global, Inc.
Hansen Global is located in Two Rivers, Wisconsin. 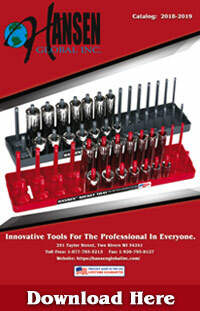 We distribute Made in the USA Innovative Tool Storage for the Professional in Everyone. Hansen Socket Trays and Wrench Racks have quickly become the preferred way for both professional and “DIY” mechanics to store their sockets and wrenches. 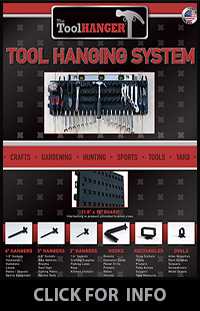 Hansen products will help organize your tools by size and style for easy identification and selection. Also available to help organize chrome plated hex and torx sockets is the Hansen Hex and Torx Tray for 3/8″ drive. Check out our self-adhesive tools holders and swivel hook trouble light replacement cages. Thanks for checking out our website and please contact us with any questions about our products.